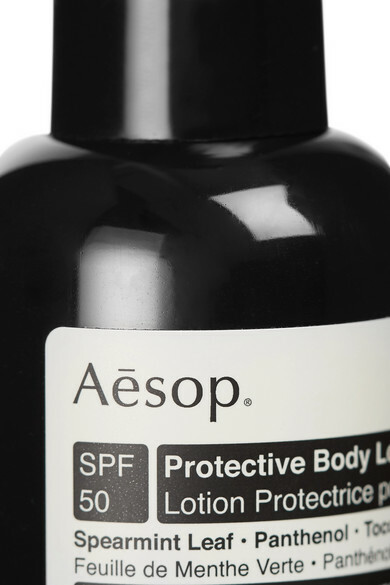 Aesop's body lotion is enriched with SPF50 to shield the skin from damaging UVA and UVB rays. Formulated with Vitamin E, it soothes and nourishes while providing up to 80 minutes of sun protection. Lightweight and easily absorbed - it's perfect for everyday use.